Wes is an internationally recognized firearms, tactics, and use of force instructor with over 20 years of military & civilian criminal justice experience, as well as significant operational time with both military & law enforcement tactical operations & protective service organizations. Wes holds specialized instructor certifications from the U.S. Army, the U.S. Marine Corps, Arizona POST, the Smith & Wesson Academy, the Sigarms Academy, the NRA LEAD, FEMA and the Department of State. Wes has studied adult education & human performance extensively and has a broad background in the martial arts, with over 25 years of training, teaching, full contact fighting experience. Wes holds a Master’s degree in Criminal Justice Administration and an upper level Doctorate in Psychology, with an emphasis on sports and performance psychology. Wes is a member of a number of: The International Association of Law Enforcement Firearms Instructors (IALEFI), The National Rifle Association (NRA), The National Tactical Officers Association (NTOA), The Military Police Regimental Association (MPRA), The International Law Enforcement Educators and Trainers Association (ILEETA) and the International Association of Counter Terrorism and Security Professionals (IACTSP). Wes is also a published author, and accomplished on-camera personality, with numerous articles in various publications, and appearances in videos, such as; American Hand gunner, American Cop, Police Magazine, Law Officer, SWAT magazine, numerous Brownells product and training videos, and videos for Crimson Trace. 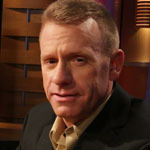 Wes is also the author of the bestselling books “Train to Win”, and “Condition to Win” both are training psychology/philosophy books focused on law enforcement and military trainers and professionals. • 21 Years U.S. Army (active duty & reserves). • Faculty Member, Mohave Community College. • Training Director, Crimson Trace Corporation. • U.S. Army Military Police & CID Schools. • U.S. Army Special Forces Operations Course. • USMC Close Quarters Battle (CQB)/ High Risk Personnel (HRP) Program. • Brownellls Training Group Leader. • Arizona POST & NRA LEAD Firearms Instructor. • 19 Years County & Municipal law enforcement in Arizona. • Supervising Sergeant, Agency Firearms Training Unit. • Senior Staff Instructor, Sigarms/Sig Sauer Academy. • NRA Law Enforcement Division, Staff Instructor. • ROK/ US State Dept. Protective Service Operations Program. • Tulsa Police Dept. (OK) SWAT School. • Los Angles County Sheriffs Department (CA) SWAT School.